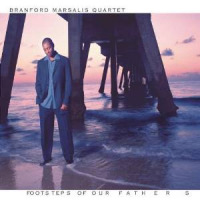 Footsteps of Our Fathers honors the Giants: Ornette Colemana bright, whimsical "Giggin'"; Sonny Rollinsa new take on his 1958 Riverside Records masterpiece, "Freedom Suite"; John Coltranean unleashed near-sacrosanct A Love Supreme , in its entirety; and The Modern Jazz Quartet's "Concorde" to close the show. 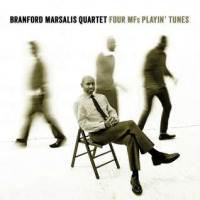 Branford and CompanyMarsalis on saxophones, of course; Joey Calderazzo on piano; Eric Revis on bass; and Jeff "Tain" Watts on drumsbite into this music, and they don't let go of these on-the-alter sounds that might intimidate a less confident crew. 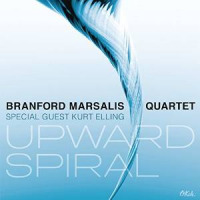 Credit has to go to Marsalis as a band leaderCalderazzo and Revis are relatively new to his band, but their contributions are unrestrained, exuberant, and as full of musical joy and energy and reverent (considering the classic material here) zest as anything out there. That doesn't just happen; the leader has to allow it. The leader and the freedom afforded by the smaller label. 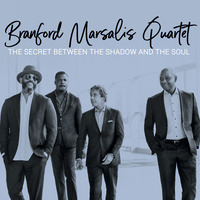 The band remains faithful to the originals, but still infuse them with their own musical personalities and personal ebulliance. 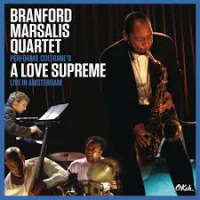 "A Love Supreme" is transcendant in their hands, a soaring prayer; in execution it stands up well beside the original. No small feat. Thoughtful and eloquent liner notes by Defeayo Marsalis, too. 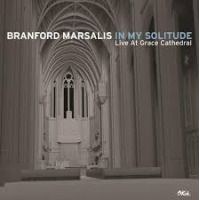 An indispensible disc for fans of these classics songs; a musical awakening for those unfamiliar with them.